Gorgeous framing is not strictly reserved for artwork or familial photographs. Collectables or memorable keepsakes/mementos serve as unexpected wall decor, highlighted by a custom frame that puts the unique item on display. 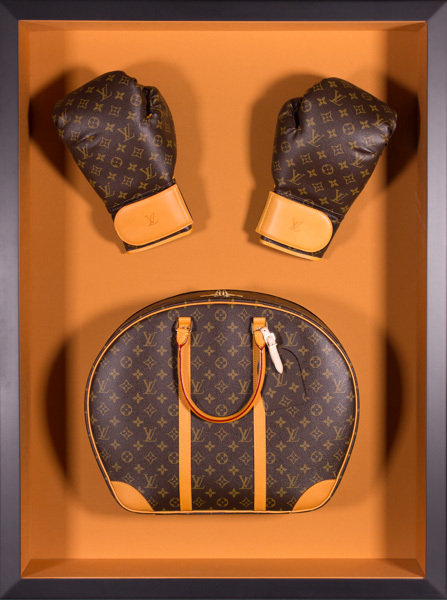 With a shadow box that matches the bowling bag and boxing glove set, this particular pair of Louis Vuitton items looks even more luxurious. The deep chocolate of the frame gives way to a distinct burnt orange, matching the leather accents perfectly. Rather than tucked away in a closet or drawer, these pieces shine in an artistic presentation on the wall. 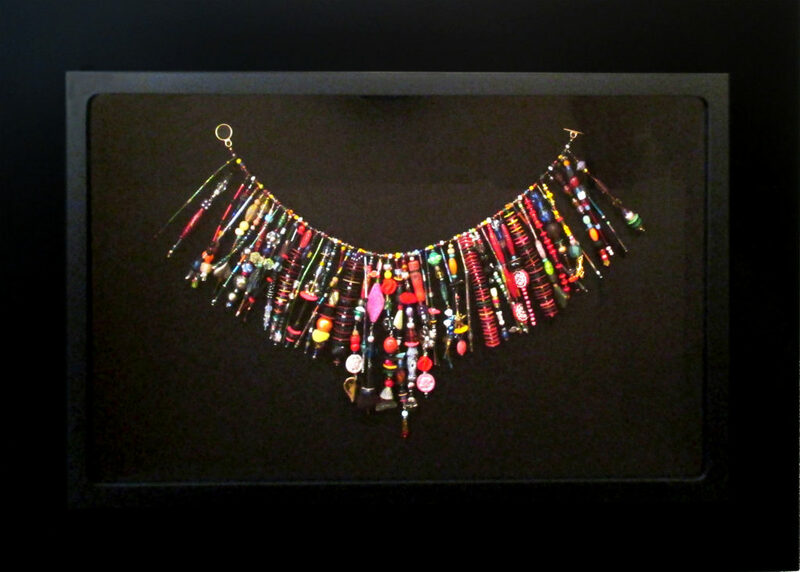 A gorgeous and unique necklace with intricate beadwork stands out prominently when mounted against a stark black mat. In a shadow box, the bold color of the beads seem to practically float within the custom hand finished corner frame, creating an intriguing illusion. Next time you’re considering where to put that meaningful keepsake or custom item in your home, put it on display with a frame custom designed for your specific piece, and create an unexpected work of art.